Now on View at Living Arts of Tulsa: "Chandelier & Other Luminous Objects"
Aired on Friday, August 29th. On this edition of StudioTulsa, we speak with Steve Liggett, artistic director of the nonprofit Living Arts of Tulsa (located downtown at 307 East Brady). Liggett is also the curator of "Chandelier & Other Luminous Objects," which opened in early August and will remain on exhibit at the Living Arts gallery through September 25th -- and which Liggett tells us all about on today's program. Some three dozen or so chandeliers and other light-emitting objects are on display -- from earrings to floor-to-ceiling works -- some of which seem more like decorative works of design, some of which seems more like creative works of art. And none of which, as Liggett assures us, look anything like what you'd find at a furniture store.... (You can learn more about (and see images from) this varied and interesting show -- which includes pieces by Heidi BigKnife, Julie Clark, Karl Engel, Eric Fransen, Ashley Guthrie, Nancy Hamill, Olga Lipatz, Beatriz Mayorca, Hugh McDougal, Bruce McGrath, R.C. Morrison, E.G. Neal, Diane Salamon, and many others -- at this link.) Liggett also speaks with us about a few other notable shows opening at Living Arts in the coming weeks and months. The "Rediscover Gilcrease" weekend -- a two-day, free-to-the-public gala happening at the museum on September 6th and 7th -- will feature unique attractions, special activities, and lots of family-friendly entertainment. Among the highlights, without question, will be the official opening of the striking new Helmerich Center for American Research at Gilcrease. Several different lectures and presentations will be presented at the Helmerich Center, and one of them will be given by our guest today. Our guest is Brian Hosmer, the H.G. On this edition of our show, we welcome back Catherine Whitney, the Chief Curator and Curator of American Art at the Philbrook Museum of Art here in Tulsa, who tells us all about a small but impressive photography show currently on view at the museum. 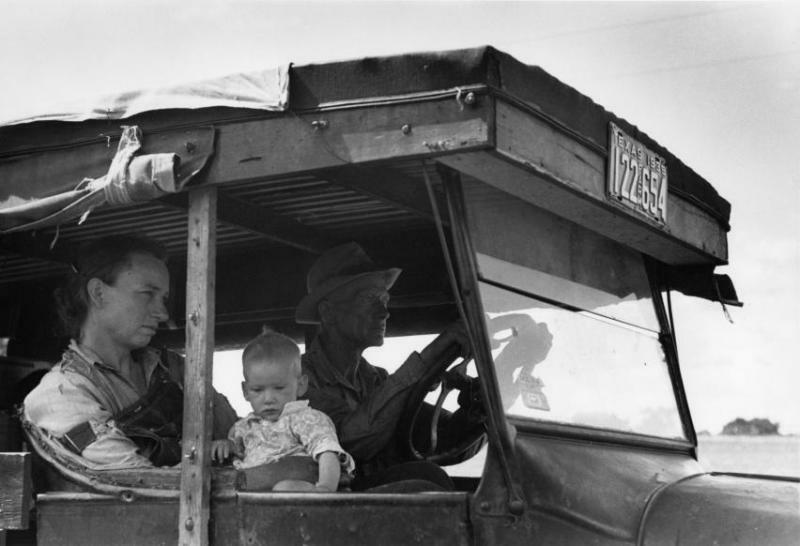 "Hard Times, Oklahoma, 1939-40: The Documentary Photography of Russell Lee" will run through October 26th. Beginning in 1936, Lee worked alongside Walker Evans, Dorothea Lange, and others as part of the government-sponsored Farm Security Administration, which was a New Deal program created by FDR. Opening Soon at Gilcrease: "Alexandre Hogue: An American Visionary -- Paintings and Works on Paper"
On this installment of ST, we preview a new exhibition that will soon open at the Gilcrease Museum here in Tulsa; "Alexandre Hogue: An American Visionary -- Paintings and Works on Paper" will be on view at Gilcrease from August 24th through November 30th. 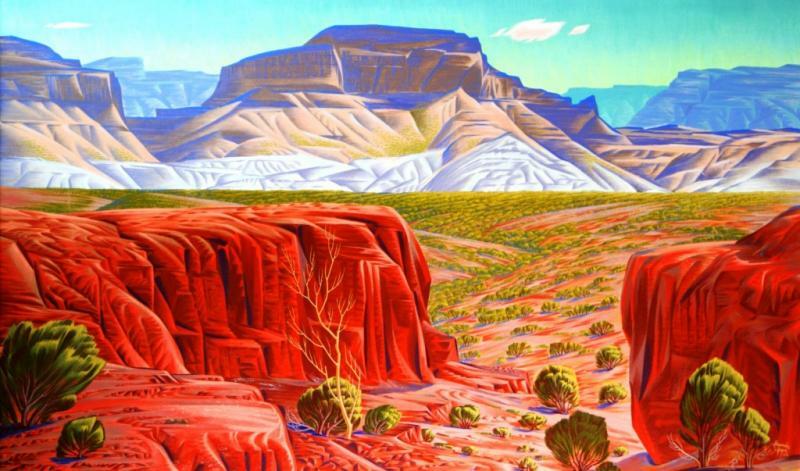 Mainly known for his "Dust Bowl" or "Erosion Series" of Depression-era paintings, Alexandre Hogue (1898-1994) was one of the more celebrated artists to come to prominence during the Regionalist movement in American art (which also saw the rise of such masters as Thomas Hart Benton and Grant Wood). (Note: This program originally aired earlier this year.) On this edition of our show, we offer an interesting chat with Peter Korn, the founder and executive director of the Center for Furniture Craftsmanship, a non-profit school in Rockport, Maine. 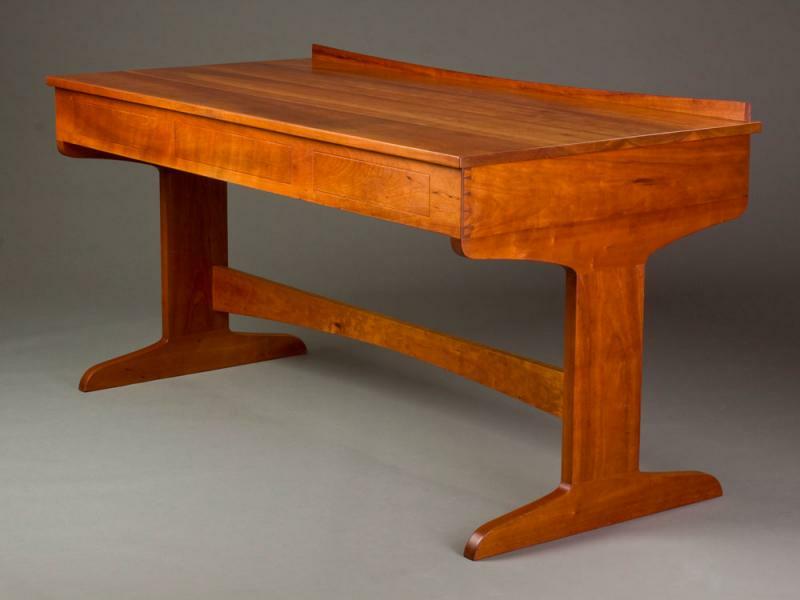 A furniture-maker since 1974, Korn is also the author of several noted how-to books, yet his latest volume is, so to speak, more of a "why" book. It's a readable and far-reaching memoir called "Why We Make Things and Why It Matters: The Education of a Craftsman" --- and he discusses it with us today. 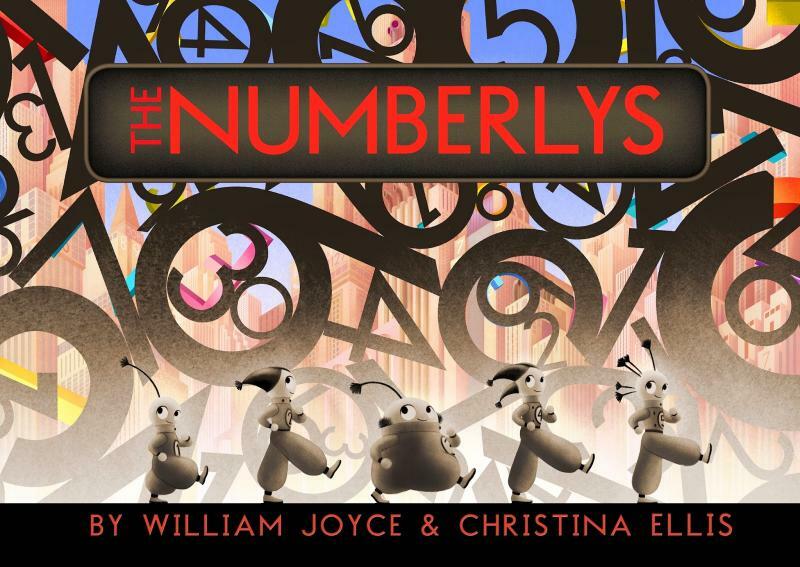 Our guest on ST today is William Joyce, the well-known children's book author and illustrator, veteran New Yorker magazine cover artist, and all-around creative guru. Joyce's many picture books include "George Shrinks," "Dinosaur Bob," and "Santa Calls" --- and he won three Emmy Awards for his "Rolie Polie Olie" animated TV series. 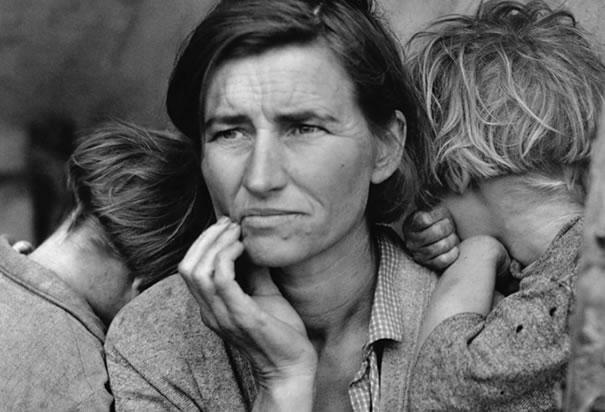 "Dorothea Lange: Grab a Hunk of Lightning"
On this edition of ST, we are talking about the life and work of Dorothea Lange (1895-1965), the influential American documentary photographer and photo-journalist who's best known for her Depression-era photographs; her "Migrant Mother" is surely among the most recognized images to emerge from the 1930s. Our guest is Elizabeth Partridge, the goddaughter of Lange and an award-winning author of numerous books. "Searching for Natural Darkness in an Age of Artificial Light"
On this installment of ST, we present an interesting discussion with Paul Bogard, who teaches creative nonfiction in the Writing Program at James Madison University. Bogard has a new book out that's getting glowing reviews from near and far. 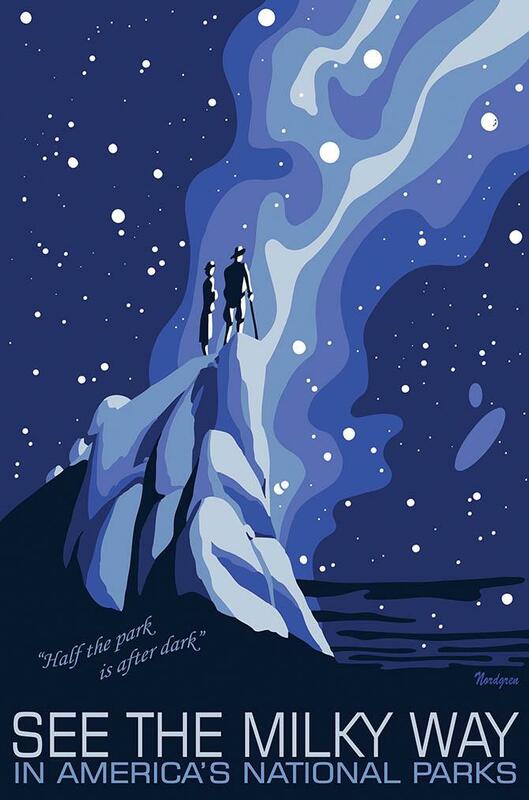 It's called "The End of Night: Searching for Natural Darkness in an Age of Artificial Light" --- and The Boston Globe says it's "a lyrical, far-reaching book.